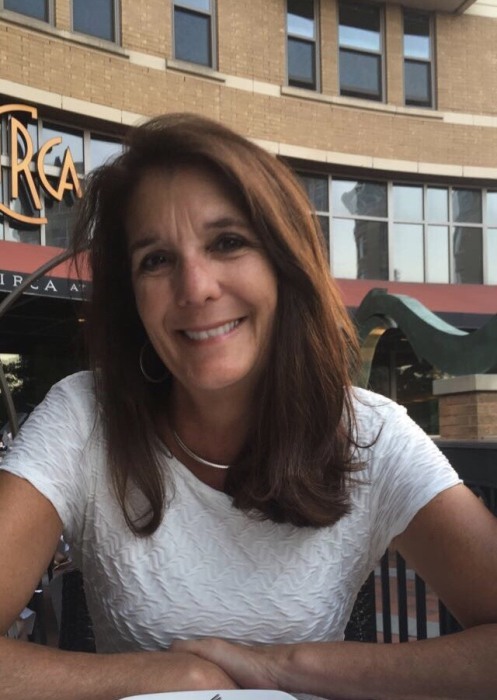 Kathleen Solomon, 59, of Ellicott City, MD passed away on Monday, January 28, 2019. Born in Philadelphia, PA, Kathleen was the daughter of George Maloney and the late Clara Maloney. Kathleen will be lovingly remembered as a woman who wholeheartedly shared her time, talent, love and treasures with family and friends, always thinking of herself last. Kathleen loved life, especially being a mother – guiding, teaching, and loving her three children. When she wasn’t with her children and extended family celebrating holidays, birthdays, and just “life!” she could be found with her incredible group of friends at karaoke, playing trivia, traveling, dancing or soaking up the sunshine watching a baseball game. Kathleen is survived by her three children (Laura, Thomas, and Peter); her father, George Maloney; her siblings (Teresa, Pat, Maureen, Jim, and Ann); her brothers-in-law (Mark, Steve, Mike, and David); 12 nieces and nephews; and five great-nieces and nephews. In addition to her mother, she was preceded in death by her infant brother Michael.